From the first spring picnic to the final fall tailgating, fried chicken is a culinary staple. But as nice as it is to sink your teeth into a savory drumstick fresh from the fryer, the actual process of frying chicken can be time-consuming, not to mention hot. Luckily, Montana has some restaurants that make each piece a masterpiece. Let someone else do the frying for you so you can simply enjoy your meal. If you start now, you can sample from each of these spots this year. 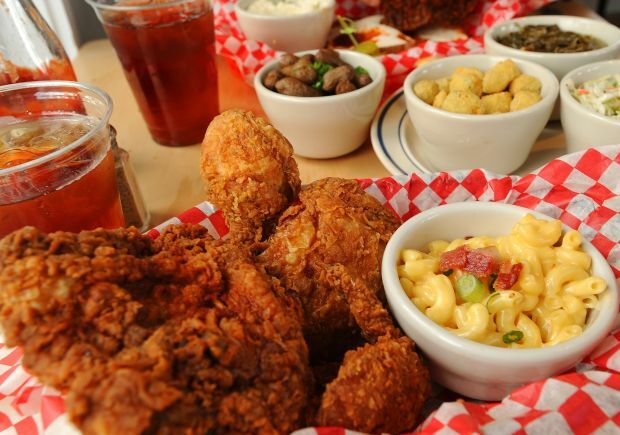 The Roost Fried Chicken in Bozeman features a variety of Southern foods. Roost offers good old-fashioned Southern fried chicken in the heart of Bozeman. The original recipe hails from Lookout Valley, Tennessee, where the Darr family split up 19 hour days serving customers in a 70 seat restaurant. Roost is a reincarnation of that restaurant with a focus on fried chicken and other Southern classics, like Chicken and Waffles.